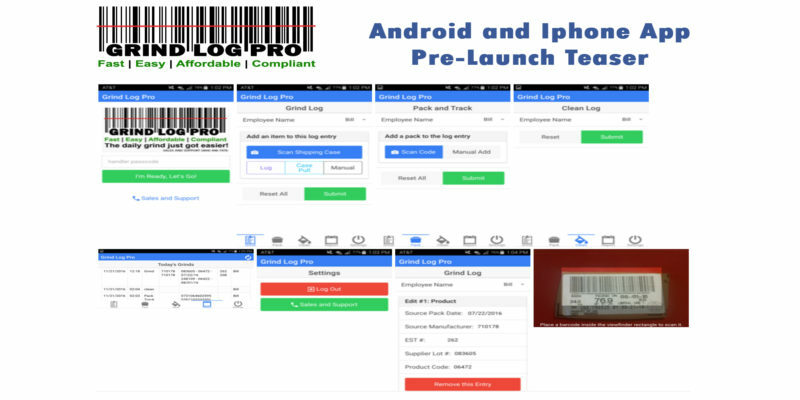 We are excited about our launch of the Grind Log Pro Android® and Iphone® Apps. We wanted to show you this update because we are so excited about how simple and fast this has become. You’re going to love how easy it is to navigate. We have removed everything that is not necessary from the viewing screens so it would be as easy as can be. If you check back on our previous article about the app you will see how much it has improved in just a few days. Thanks to everyone and their feedback we are confident you will love it! 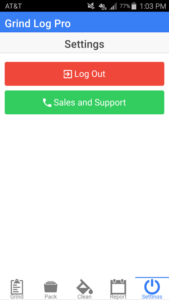 The login screen now has a button you can click to call us if you have any questions or need any help. You can also give us feedback as to how we can make it even easier for you. One Click to Log Grind. 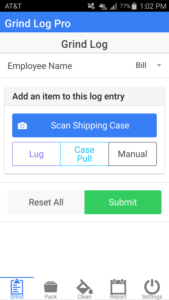 One click to log clean. 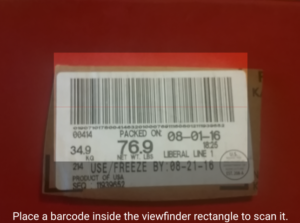 Adds Data from Barcode Immediately. Live Scanning – Super Fast and Accurate. Seeks out the barcode. As soon as it sees it it records the data. 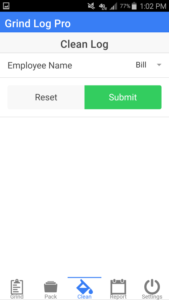 Owners and Managers access reports from any computer or tablet. 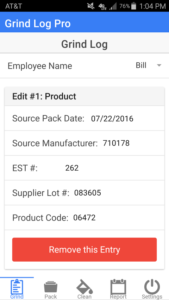 Reports can be generated by date and printed on demand. 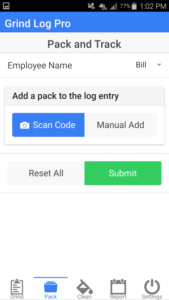 There is also a place to add and remove employees from Grind Log Pro. 1 Click to Log Grind. Live Scanning – Super Fast! 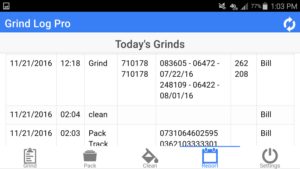 The grind log will be available both on the Google Play Store and the iTunes® Store. 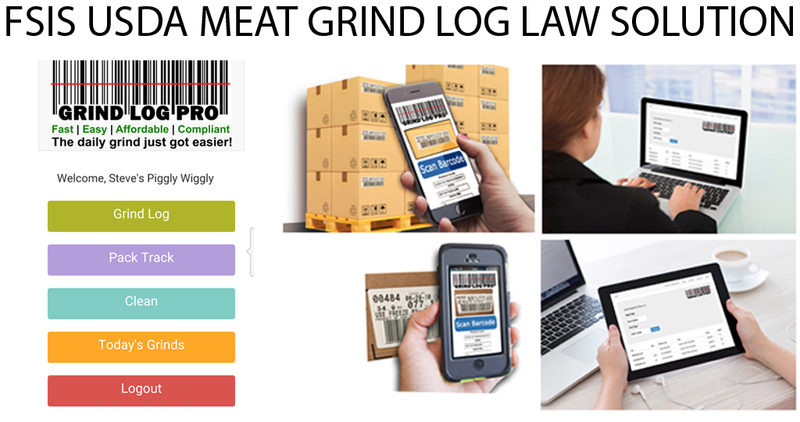 We save you and your employees time, money, and we keep you compliant with the FSIS USDA Grind Log Enforcement. We thank you again for all of your feedback. 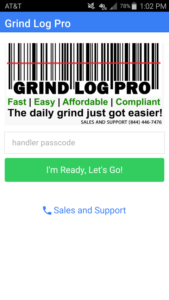 It has made this new Grind Log Pro App AMAZING! Sales and Support – 844-4IMPGRO or 844-446-7476 CALL NOW!